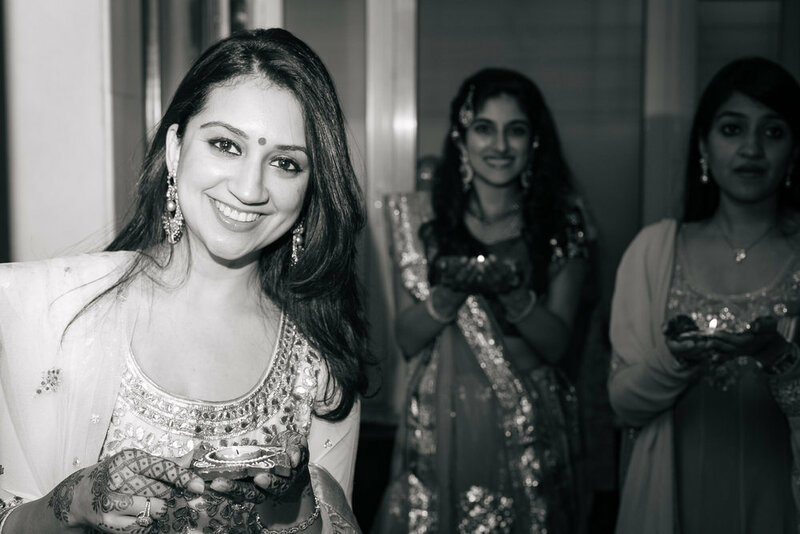 Devanshi was the cousin of the groom at our first professionally shot wedding as 'Sam & Ekta'. 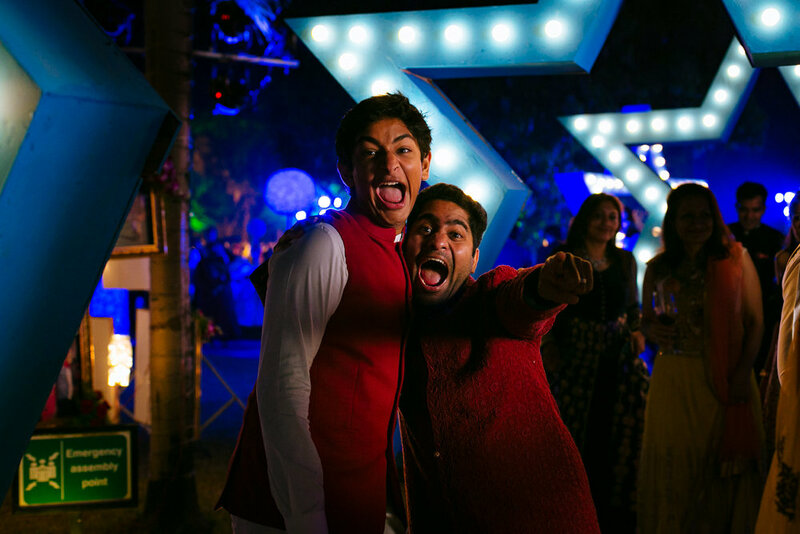 A couple of months ago, we received a call from Devanshi's mother, Sonal aunty who asked us, 'Were you the photographers at Mihir's wedding? 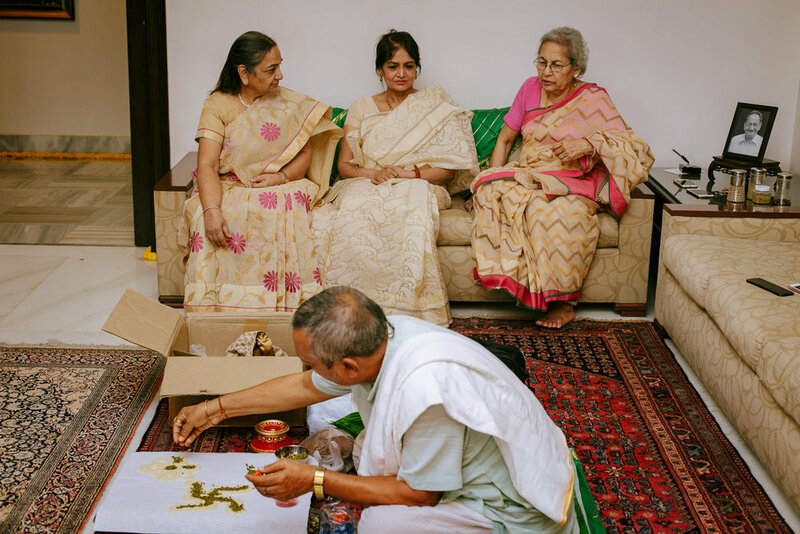 Devanshi asked me to find you guys and get in touch with you, because she is getting married in November and wanted you guys to photograph her wedding'. 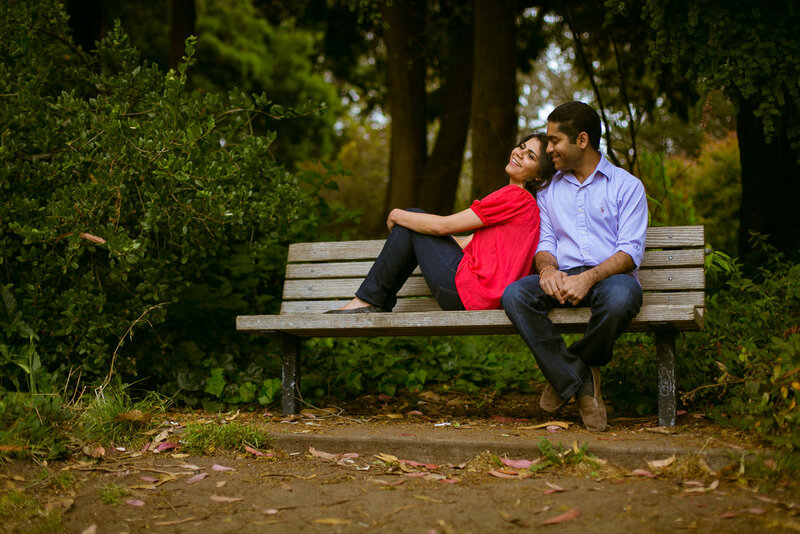 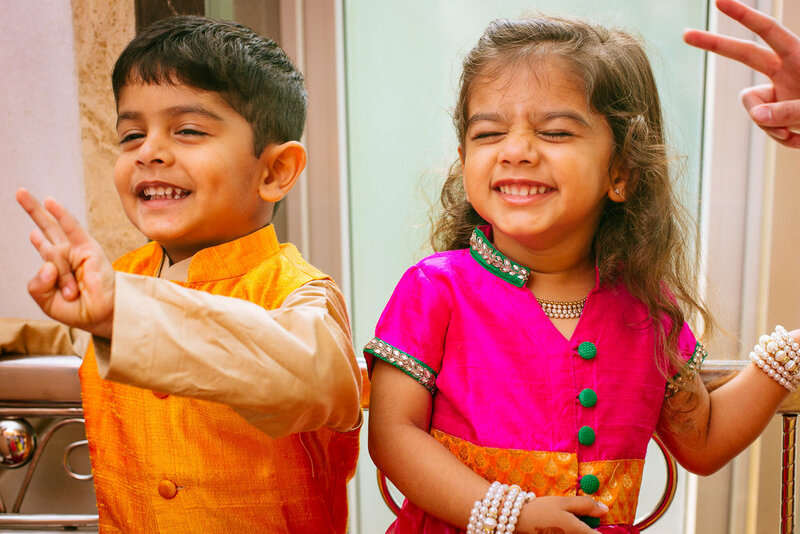 While both their families are from Mumbai, Devanshi and Nikhil currently live and work in San Francisco. 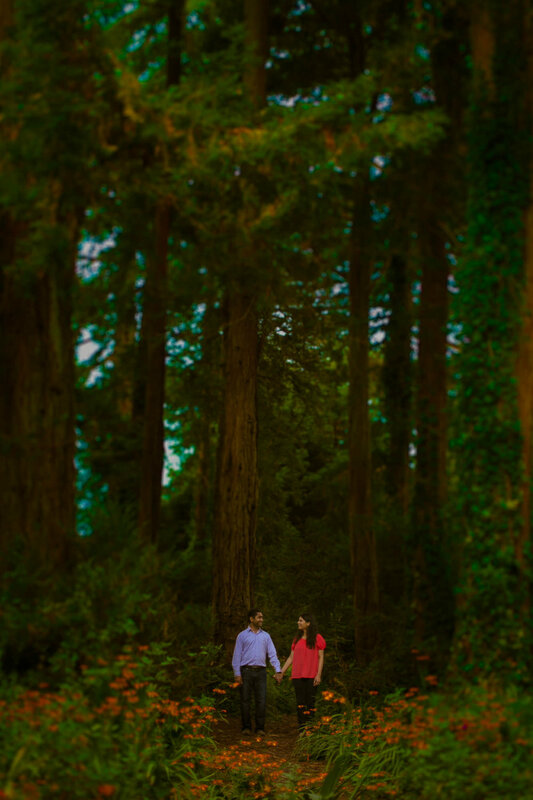 We met them at their engagement in August, where we decided that we would do their couple portraits (or 'pre wedding shoot') in San Francisco itself, since we were visiting the US for a month. 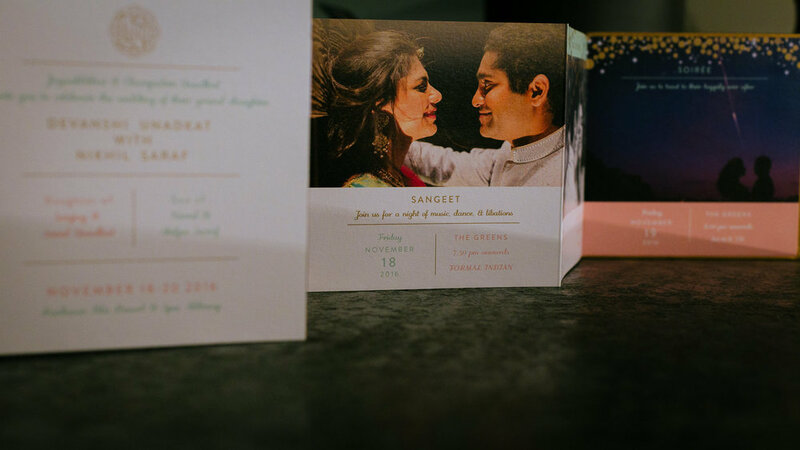 The shoot went off great, and our pictures from the shoot were used for their wedding card! 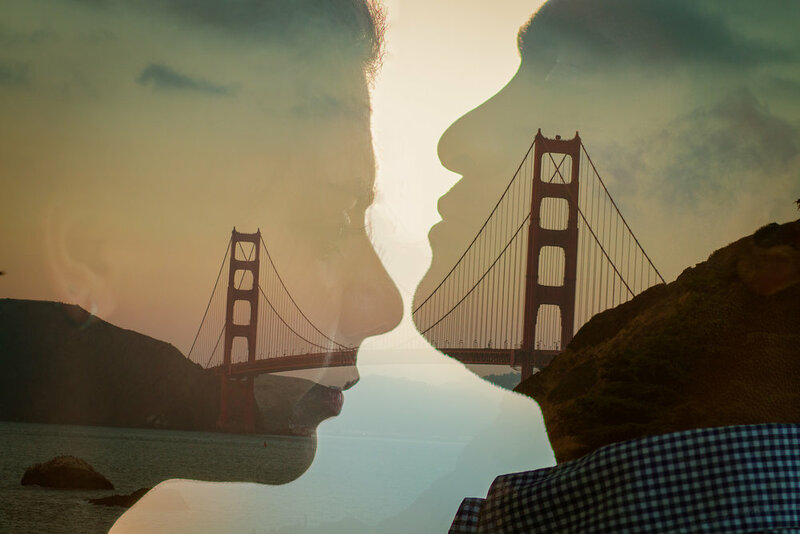 By the way, we put together a small video of our month long trip to the US here. 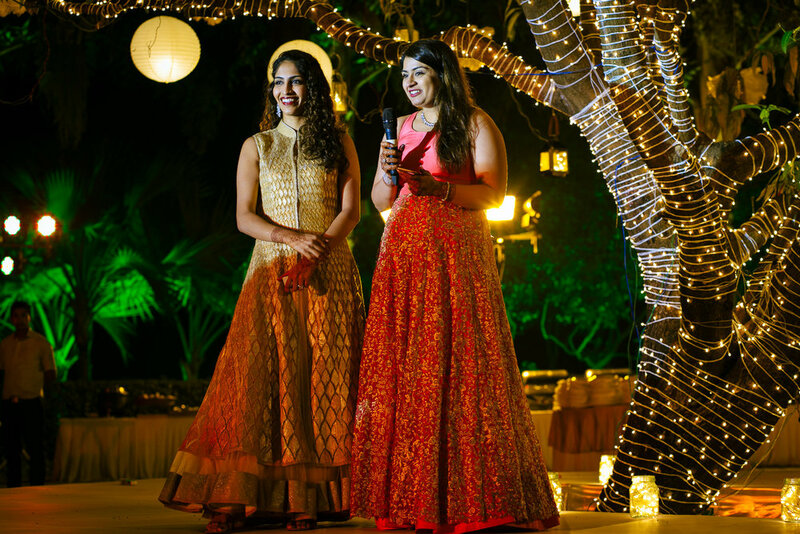 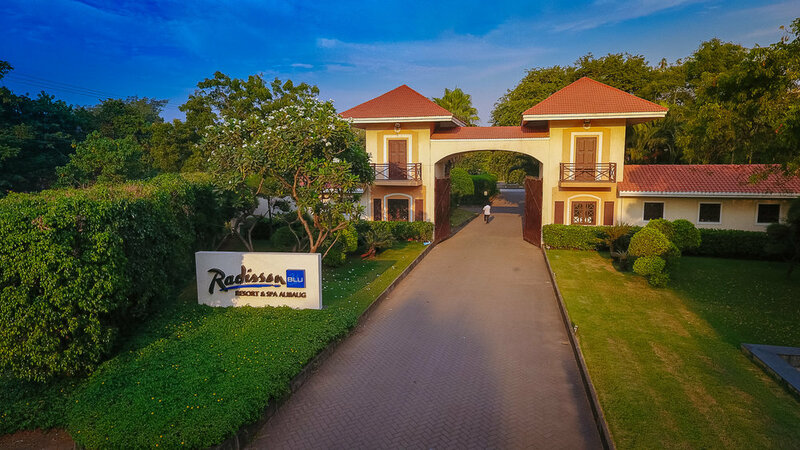 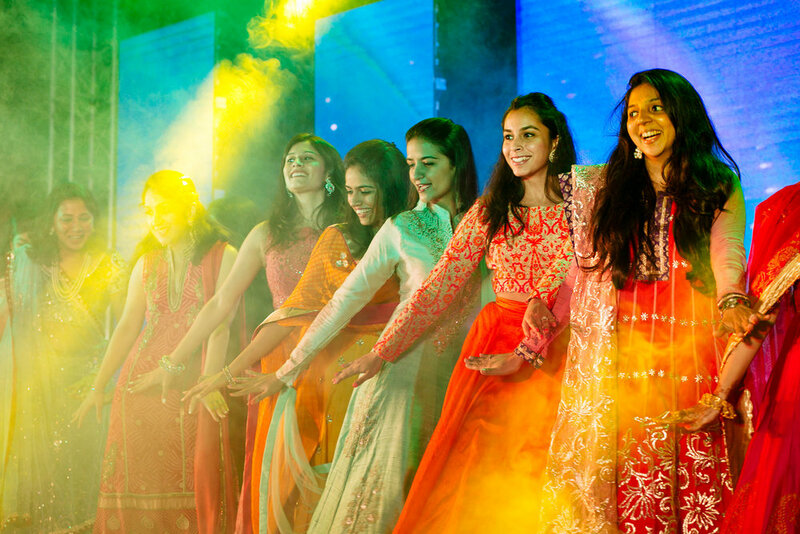 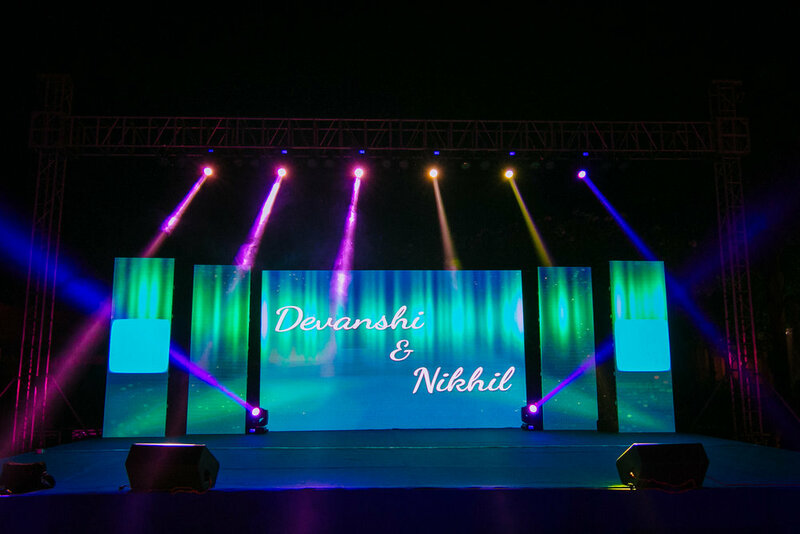 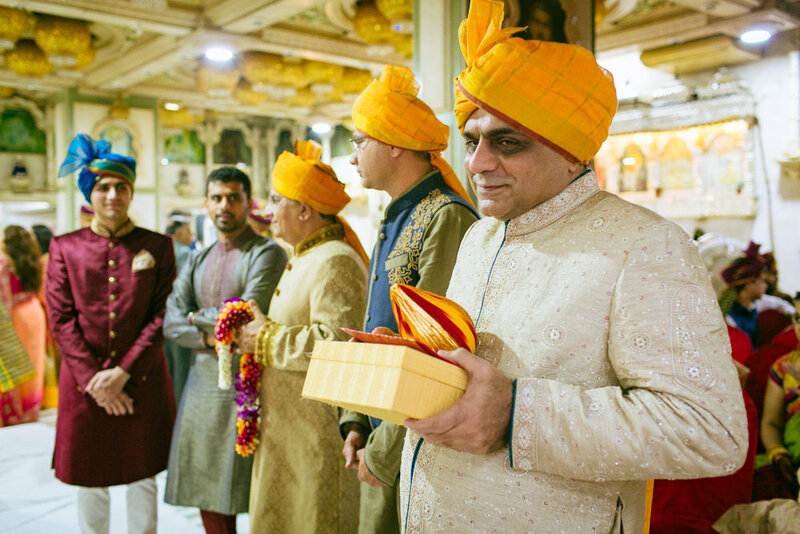 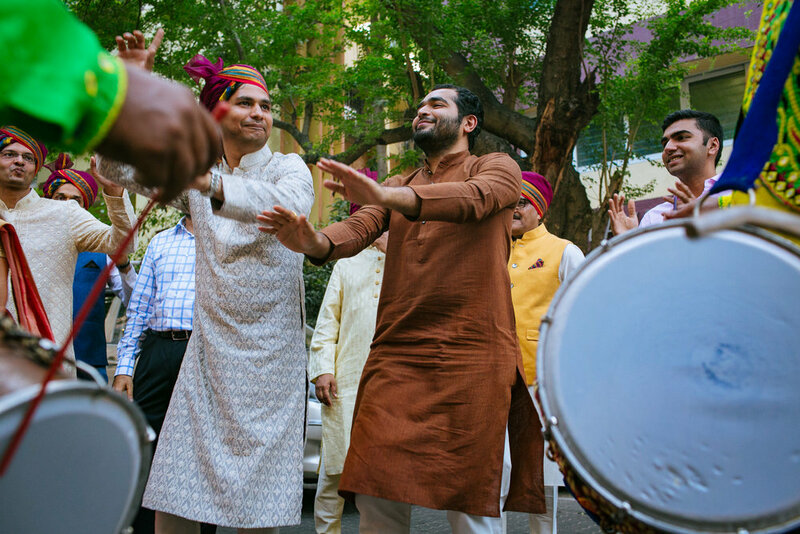 Devanshi and Nikhil's wedding took place in Mumbai itself, after which all the wedding guests travelled to Alibaug for a two-day celebration which included a welcome party, sangeet, pool party & reception. 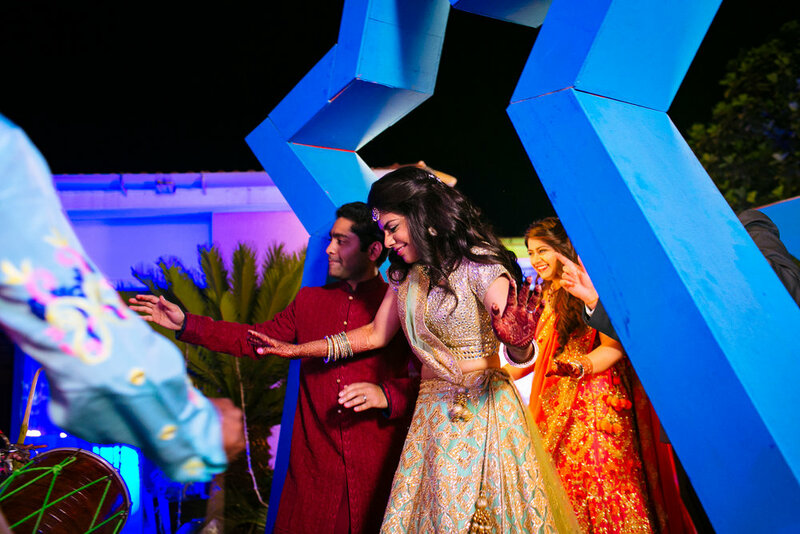 We believe it was a great idea to have the celebration after the wedding, so that the bride & groom were always relaxed and could enjoy their parties so much more, without having to worry about waking up early the next day. 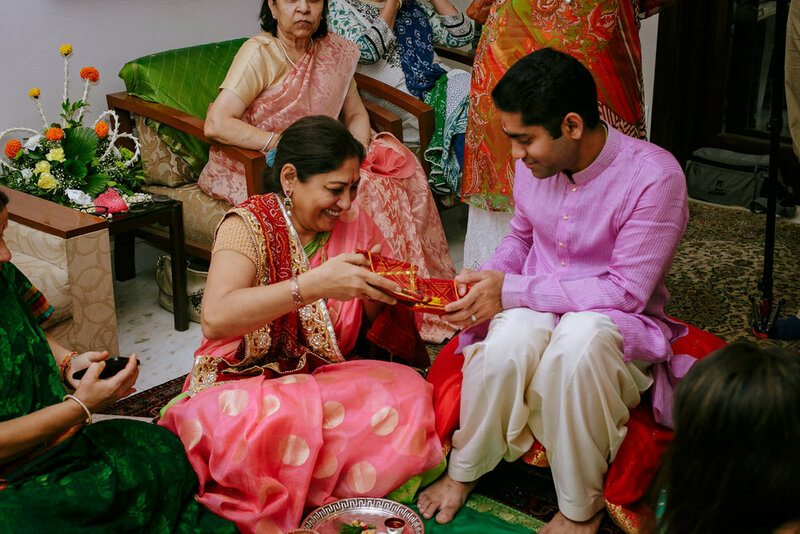 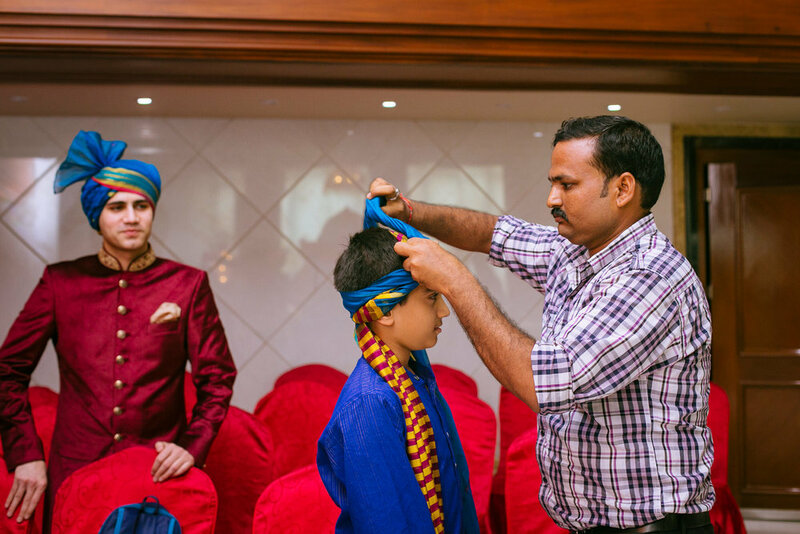 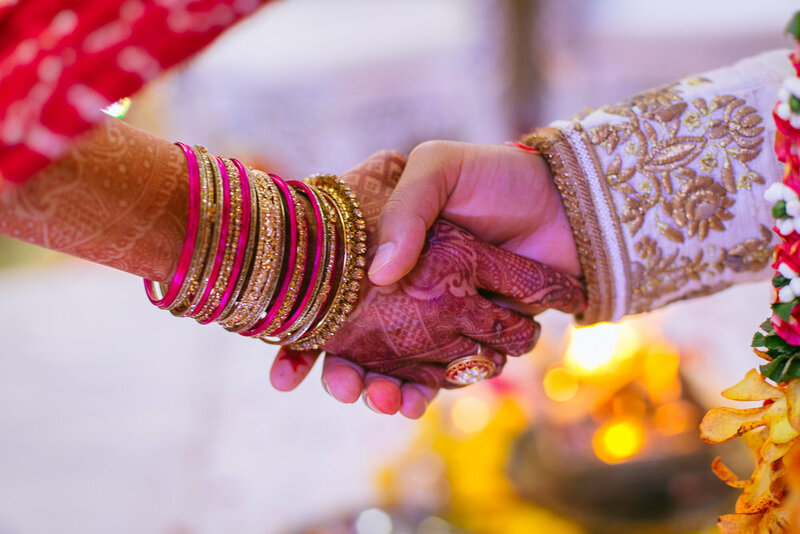 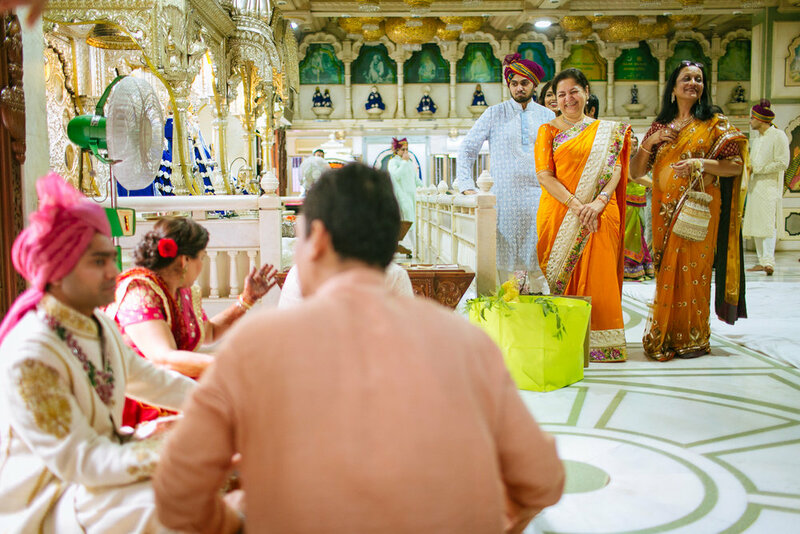 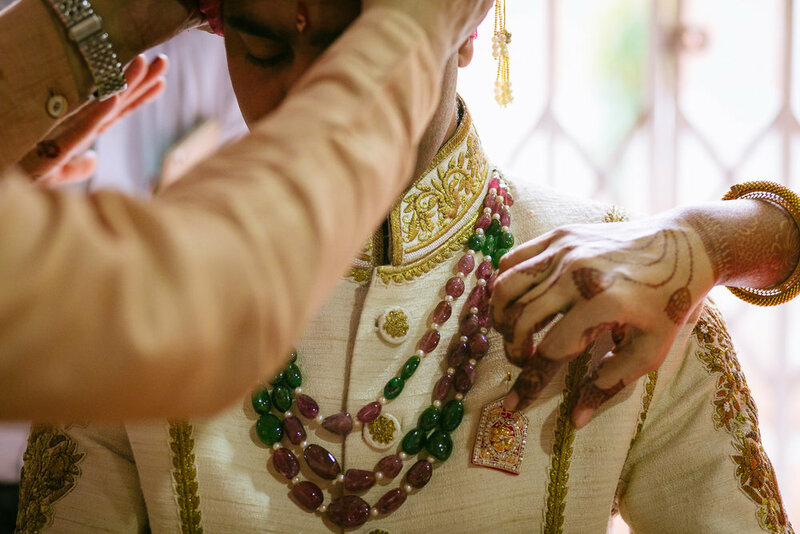 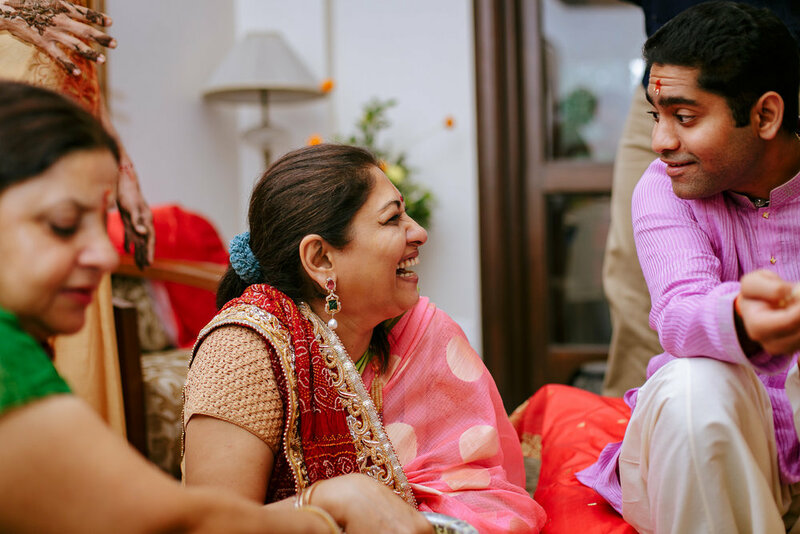 Over the last few months leading up to their wedding, and in their wedding itself, we got to know Devanshi, Nikhil and their families really well. 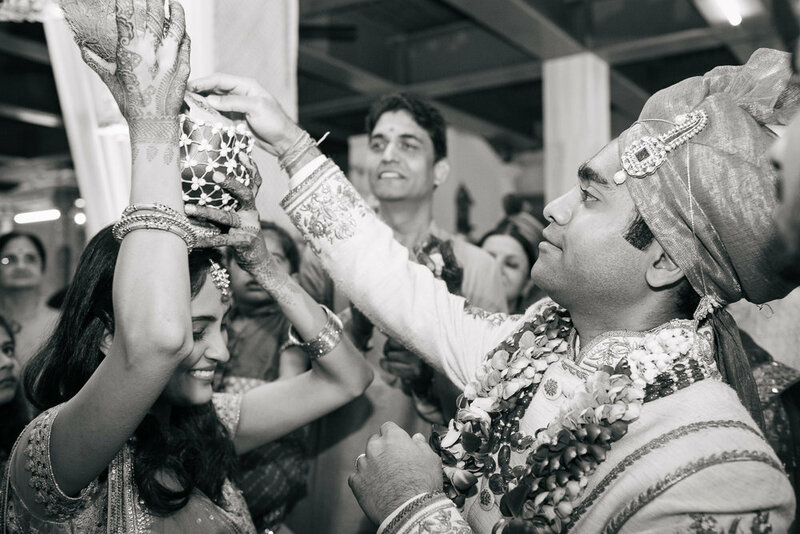 These are a few chosen pictures from across their couple shoot, wedding & the post-wedding celebrations, which we hope captures the love between this amazing couple, and the warm-heartedness of their amazing families. 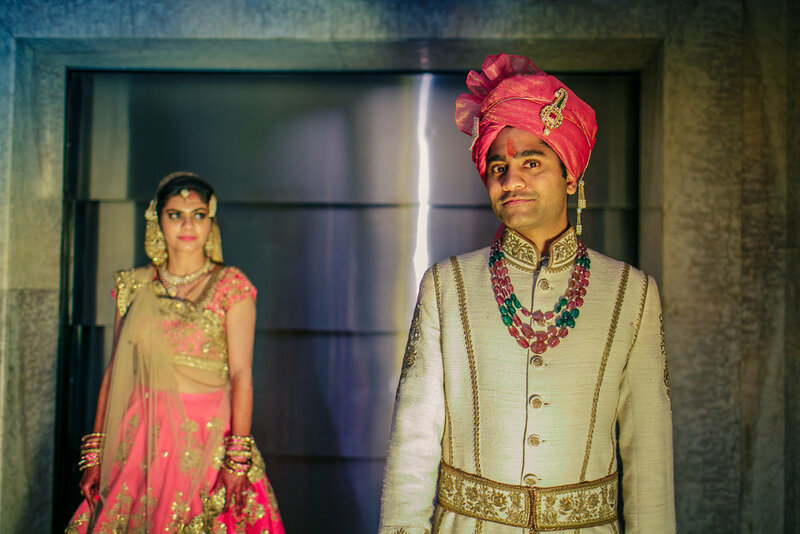 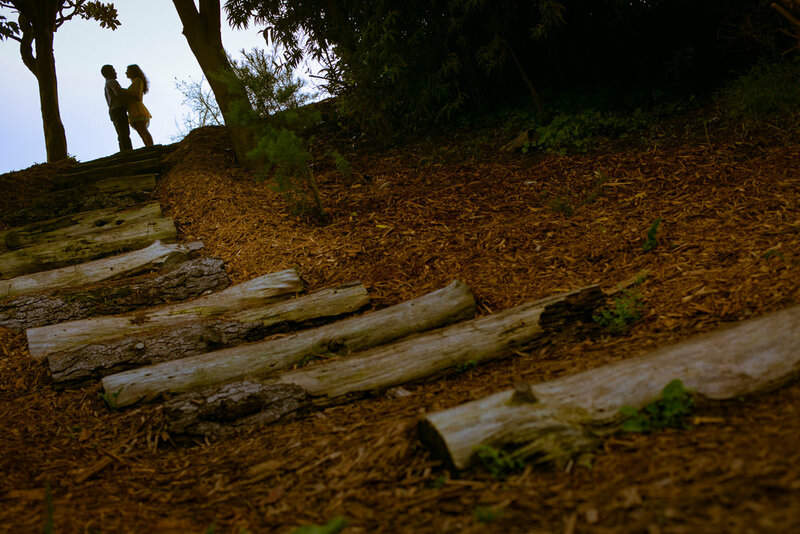 Their wedding trailer can be viewed by scrolling to the bottom of the album, or on our separate wedding film page here.